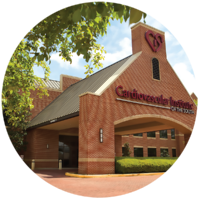 Cardiovascular Institute of the South (CIS) was founded in 1983 by Dr. Craig Walker, who first established the company as a one-physician practice in Houma, Louisiana. At that time, the city was experiencing one of the highest cardiovascular disease mortality rates in the nation. Driven by a desire to serve and heal people in his community, Dr. Walker envisioned CIS as a leader in the development of new techniques and technologies in the treatment of both coronary and peripheral artery diseases. Expanding upon Dr. Walker’s vision, CIS has grown to become a world-renowned practice. This commitment to growth and excellence has earned CIS recognition as a leader in research development and state-of-the-art cardiovascular care, as well as garnered international acclaim for its significant contributions to the advancement of non-surgical treatments for cardiovascular disease. Today, CIS continues to grow and expand to multiple locations striving to make the most advanced cardiovascular care accessible to a wide spectrum of communities across Louisiana and Mississippi. We believe that our unwavering dedication to the CIS mission of providing the highest quality cardiovascular care has truly been the cornerstone of this successful growth.